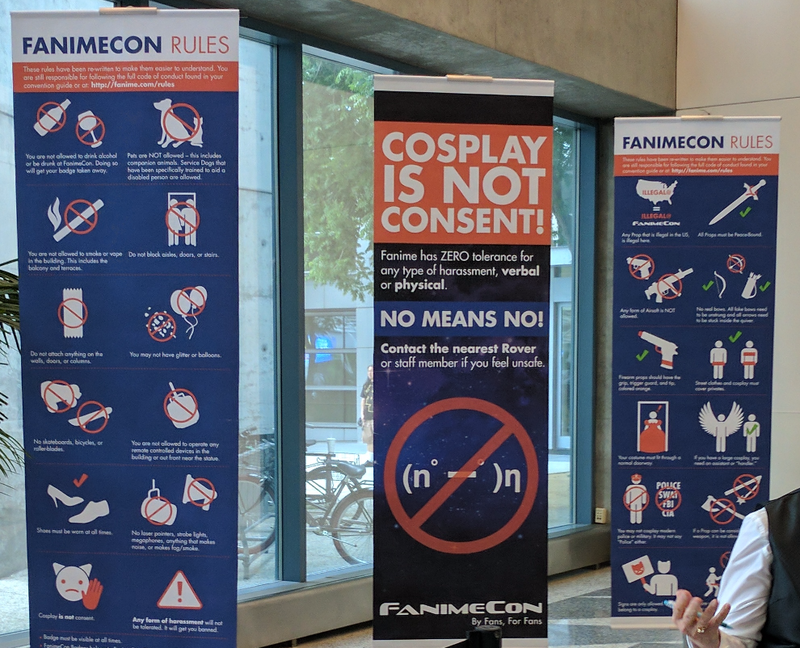 [AniFemTalk] How inclusive are anime conventions? It was a big weekend for conventions, with MCM Comic Con in the UK, Anime North in Canada, Fanime in the US, and no doubt many more. Cons should be – and usually are – a positive experience, but we know it can be a mixed bag for marginalised attendees. What is the greatest feminist experience you’ve had at an anime convention, maybe feeling empowered yourself or witnessing something that made you feel good as a feminist/ally? What is the most negative experience you’ve had, and how could it have been prevented? What measures have you noticed conventions taking to ensure all fans feel welcome and safe? If you haven’t been to a con lately, what would be your criteria in choosing one to go to? Details to be confirmed, but AniFem will have a convention presence this year – which cons will you be attending that you’d like to see us at?